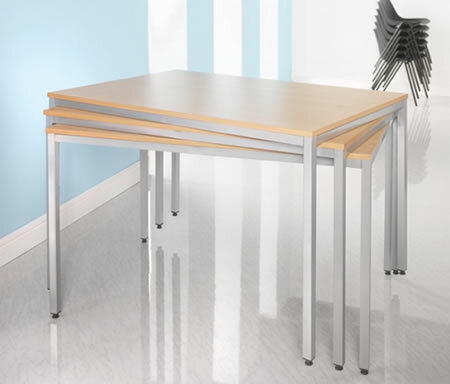 Customise your layout with this range of meeting tables. Simply installed as and when the requirements change within your organisation. Ideal for meetings and seminars. 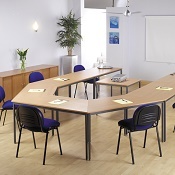 Multi functional meeting tables in a range of shapes and sizes that allow for easy configuration. All Mfc is produced using sustainable practices. By suppliers are part of the FSC chain of custody and the WWF foundation. Assuring that all the materials come from sustainable forestry. All the MFC is tested to the highest standards and meets EN standard EN14322:2004. For more information on our exciting range of office furniture and accessories please call our consultants or e-mail info@homeofficedesign.co.uk.